OUR PRICE: $10.71 - Join Rewards Get $1 Dance Dollars On This Item! A serious pop of sparkle for any performance outfit! 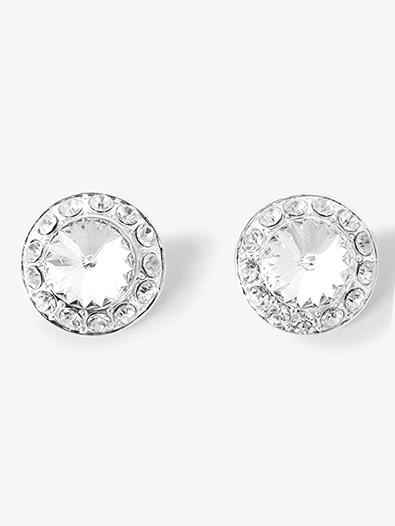 These large clip-on earrings feature one large 10mm center stone and 13 smaller outer stones. Clips are padded for additional comfort. Silver plated, won't tarnish. Hypoallergenic. Measures: 18mm in diameter.